1) Blinking LED: It worked!! Thank goodness. Even though I thought I glued my breadboard on the base backwards. 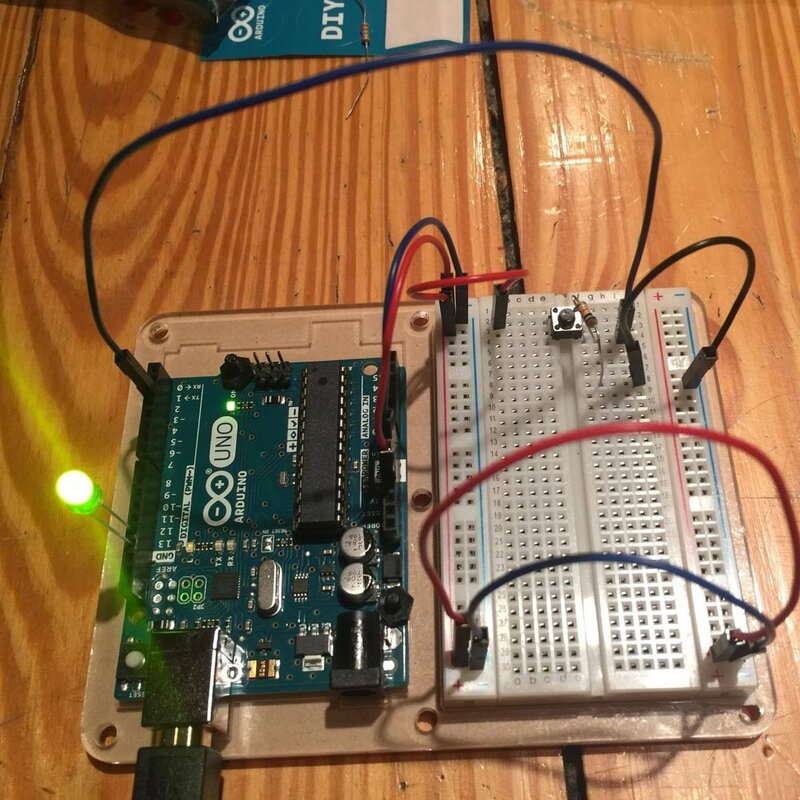 I tried this version (the official Arduino tutorial) with the on/off button and failed, using the LED on the breadboard. I will try another version where the LED is on the circuit board. I ended up following this tutorial instead. Then I had to switch around the positioning of Arduino...because I couldn't reach the breadboard from the right side.